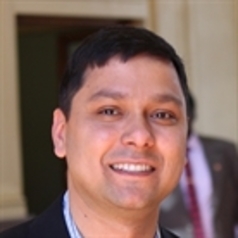 Dr. Raj Gaire is a Senior Experimental Scientist at Data61 business unit of Commonwealth Scientific and Industrial Research Organization (CSIRO), Australia. He leads cross-domain collaborations for data driven innovation in Data61. His research interests include Cyber Security, Distributed Computing, Semantic Web Technologies, Sensor Networks and Data Analytics including Bioinformatics, Social Media and Big Data analytics. He received his B.E. in Computer Engineering (2002) from Institute of Engineering, Tribhuvan University, Nepal; M.I.T. (2006) and Ph.D. (2012) from the Department of Computer Science and Software Engineering, the University of Melbourne, Australia.